Leave all of your anxieties and worries at home: once you walk through our doors, it’s all about you! There are no judgments at Henagan Team Dentistry. Instead, Dr. Donald Henagan and our team welcome you as part of our family! One of our trusted dental assistants will spend time getting to know you, learning exactly what your needs and wants are at this time. Then Dr. Henagan will perform a very comfortable and thorough exam, including checking your mouth for any signs of gum disease, oral cancer, or decay. Your initial screening will also include X-rays and other images so we can accurately monitor your tooth and jaw development as well as bone health. This standard of care, coupled with the comprehensive exam, allows us to treat you in the best manner possible! Please talk with us about any unpleasant prior dental experiences. It is important we know what happened so we can quickly diffuse any previous negativity with our genuine concern for you and your wellbeing. We want to meet you where you are in your journey and walk with you through any obstacles that might be in your way. Once you’ve scheduled your initial appointment, you’ve taken the essential first step toward a beautiful, healthy smile! We’re looking forward to meeting and serving you and are honored to be part of your journey to optimal oral health! We care about you and know that regular visits to Henagan Team Dentistry are important! While the American Dental Association (ADA) recommends most people visit the dentist every six months for a check-up and cleaning, remember that each of us is unique with our own, individual situation. Your current dental health needs might require more frequent cleanings and monitoring than the routine recommended by the ADA. 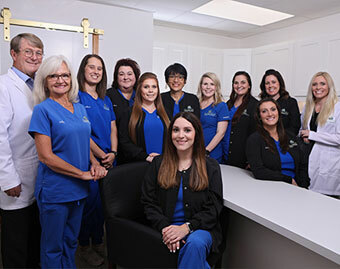 There may be times that Dr. Henagan and one of our skilled hygienists feels you would benefit from coming to see us more often than once every six months. It is important you follow this recommendation as it will help ensure you achieve and maintain your dental health, and are able to enjoy a lifetime of healthy smiles. Prevention is the key to avoiding costly corrective or restorative procedures in the future!